If you’re using outsourced data researchers to build your database, this is a can’t miss tutorial that shows marketing and sales teams how to properly introduce your company to new contacts and send a series of relevant emails that build relationships and sales qualified leads. 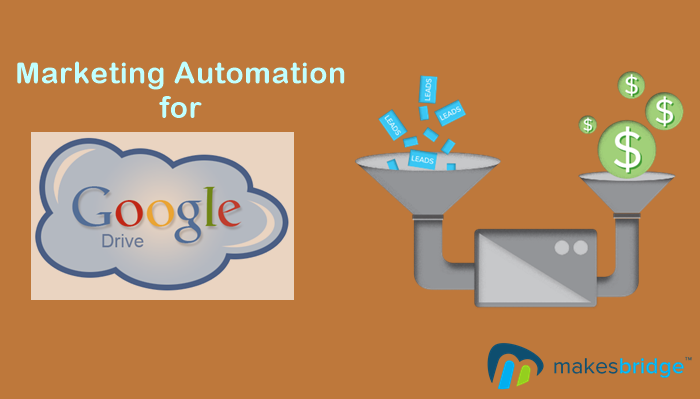 Marketing automation for Google Drive is a concept that appeals to organizations that have data research staff located in multiple global locations because marketing automation for Google Drive helps these businesses securely coordinate data collection and lead nurturing. The results of applying marketing automation for Google Drive are increased executive visibility into researcher contributions, methodical follow up to interested leads and an increase in sales qualified leads. activities. All Makesbridge Members have access to this proven process. If you have Data Research staff located in the Philippines, India and other low cost outsource locations then you know the ups and downs of using remote workers for data acquisition and marketing automation. On the upside, at cost about $3.00 / per hour it’s enticing to have a large staff acquire names, append information and set a program for outreach. On the downside, the cheap cost of contact data can lead to destructive practices of blind blasting and sending a stream of poorly conceived messages. Anyone who’s received an incessant flow of email pitches from a new LinkedIn connection understands what blind blasting or poor streaming etiquette can do to harm a brand. It’s apparent that inexperienced quick-fix marketers have glommed onto LinkedIn on the latest wave of social selling don’t realize the practice of sending the “I’m not sure you got my message last week, here it is again” stream of careless inbox stuffing to be destructive to their brand. Case in point, I received two email streams from two different franchisees of a national janitorial service. It gets worse; we’re located in Saratoga, CA and the franchisees are located on the east coast. It gets even worse. I opted out of receiving emails from one and continued to receive on from the other. If the franchise had coordinated acquisition and deployed marketing automaton for Google Drive on their front end they would have avoided the damage to their brand, let alone legal exposure for CAN-SPAM violations. To receive regular updates; follow Makesbridge on Twitter, Facebook & LinkedIn.